Unplug and spend some quality time with your loved ones. Absorb the atmosphere of the isolated islands and take pleasure in nature at its best. We believe that true happiness comes from the simple pleasures in life. 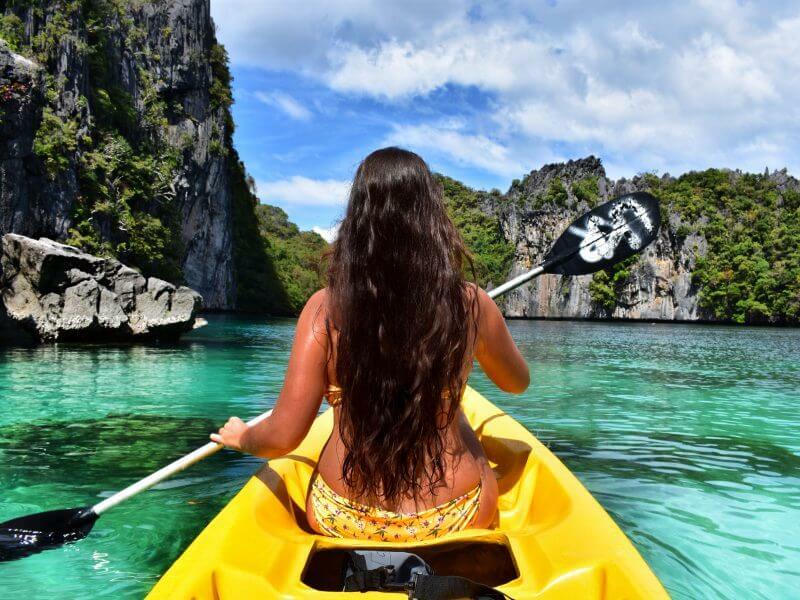 This unique Palawan tour takes you on a journey to the uninhabited islands to enjoy the powdery white sand beaches, amazing sunset, and crystalline waters filled with rich diverse marine life. This is also a culturally immersive experience that lets you learn how the locals live in the villages. Optional: We will pick you up before sunset for the “Food Crawl”. We will visit the top 5 restaurants in El Nido town and taste various Filipino food, usually popular snacks and appetizers. Our representative will fill you in with stories and insights about the local food. Our representative will pick you up at your hotel at 6:45 am to take you to the main pier. Please be ready so we can board the boat at an earlier time than usual, this is to ensure that we will be one of the first groups to see the most iconic spots. We want to make sure that you can enjoy the sights around the archipelago without a lot of other tour boats. You are free to stay longer in any place you wish as long as we can return to the mainland before 5 pm. At the end of the tour, we will transfer you back to your hotel. Our representative will pick you up at your hotel at 9:00 am. 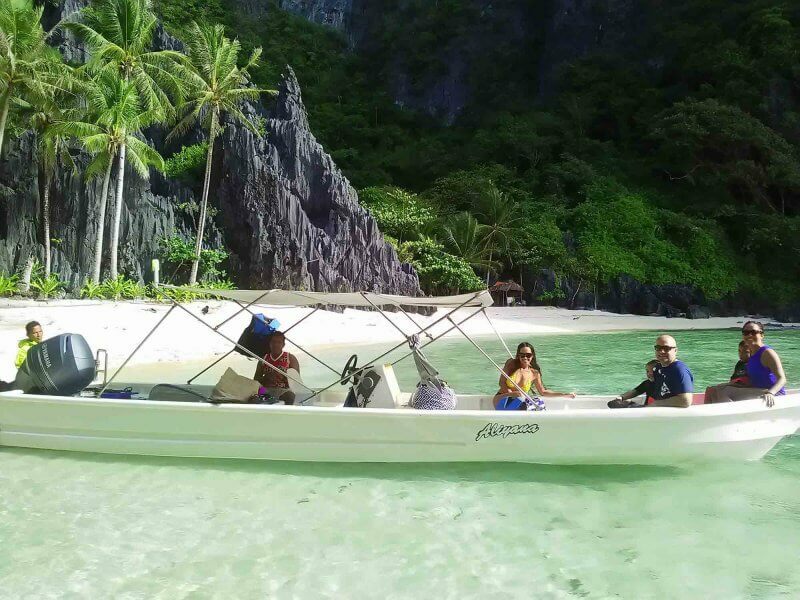 This relaxing tour takes you first to Las Cabanas Beach, located 3 km south of El Nido town. Las Cabanas Beach Resort has a botanical garden and a sizable beach with clear waters and a house reef. Swim, relax, and enjoy the panoramic view of the outlying lands. Our representative will pick you up at your hotel at 6:45 am to take you to the main pier. 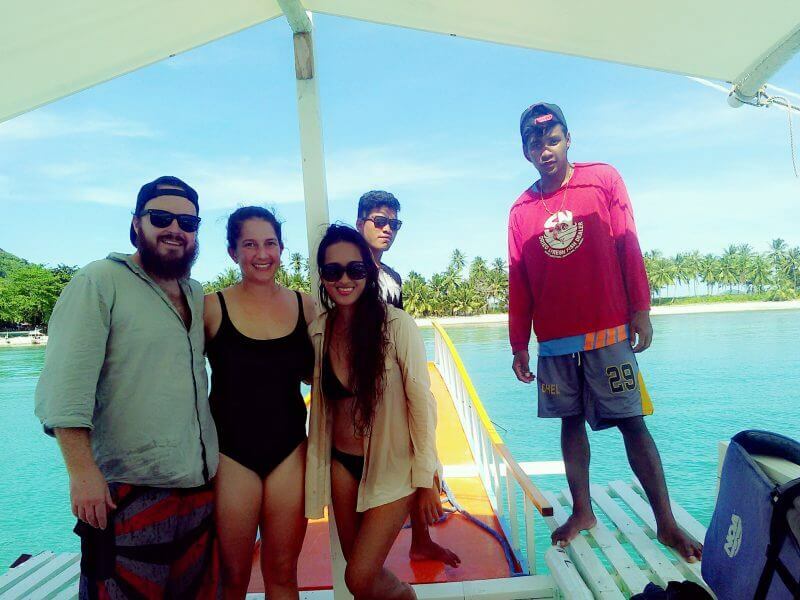 The Linapacan islands are farther out of Bacuit Bay, so it would be better leave town earlier than usual. We will take you on a special journey to the remote or uninhabited islands. 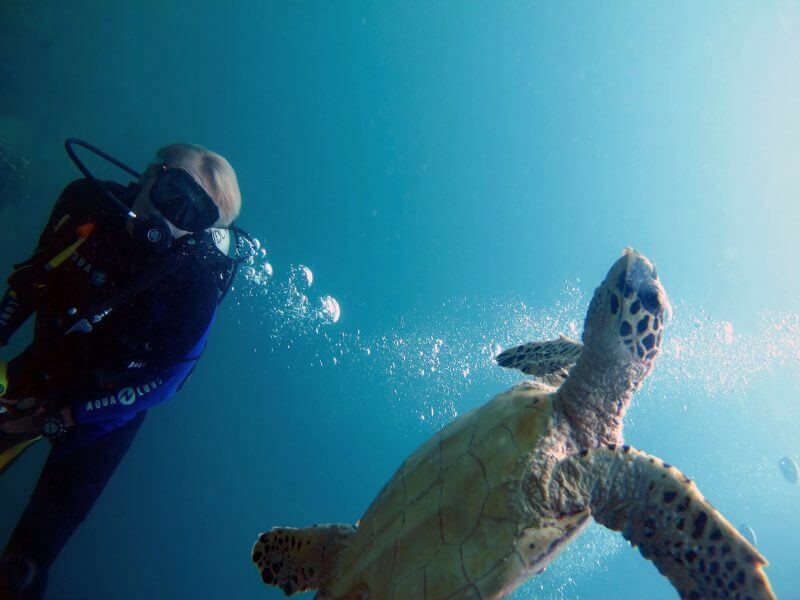 Swim in the clear waters, snorkel, and observe the diverse marine life to your heart’s content. After a whole day of island adventure, we will start the journey back to the mainland before 5 pm and transfer you back to your hotel.